Yesireebob! I'm a big believer that ya can never have enough color or pattern in your life. and that holds true for backgrounds too.... so when I'm creating a kit I always go overboard making tons of backgrounds in all sorts of shades and colors. I figured that some of you may be like me and want more more more too! 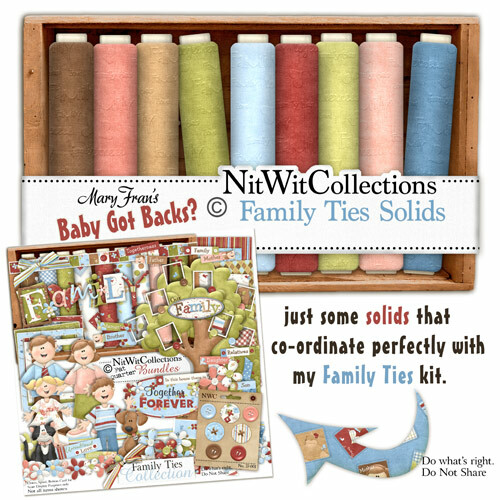 hahahahaha So here's some more solid backgrounds to help create more layouts with my "Family Ties" kit! We can always use loads of selection for different card making and scrapbook papers. Hope you like 'em too!